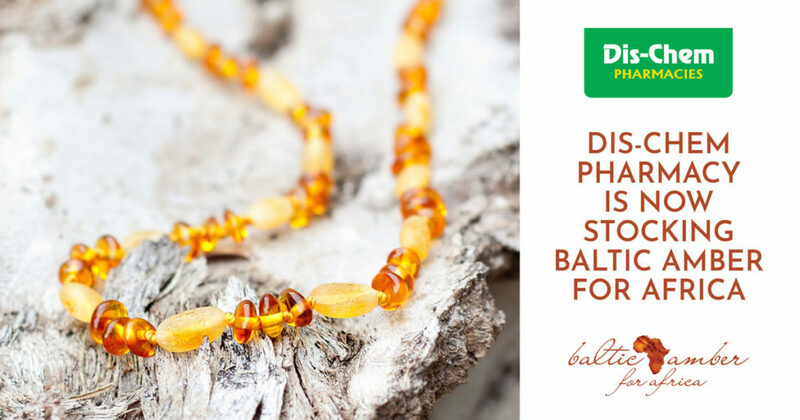 Baltic Amber for Africa cares and offer natural solutions, choosing Dis-Chem as a reseller of our products comes as a natural fit. Next time you walk into a Dis-Chem Pharmacy ask about our teething necklace for babies. The teething necklace reduce pain and irritation in your child when they are at the teething age. Each teething necklace comes with two safety features. First is the screw clasp to prevent from accidental loss or breaking if pulled too hard. The second safety feature is the individual knots before and after each bead to prevent choking if the necklace is broken. To find Baltic Amber for Africa’s products at Dis-Chem Pharmacies please visit the Dis-Chem store locator. This entry was posted in spotlight and tagged Dis-Chem Pharmacies, teething necklace.